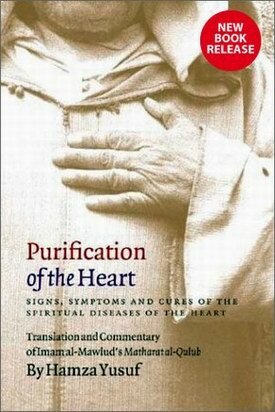 Right now reading this book, Purification of the Heart by Hamza Yusuf. Its a translation and commentry of Imam al-Mawlud's book Matharat al-Qulub. The book is really nice and i was long searching for such a book. In sufi tradition purification of the heart is an ancient spiritual science. It's significance is very great. As Jesus said, "Blessed are the pure at heart, for they shall see God"
Also in Quran we find, "On the day of Judgement no one is safe but the one who returs to God with a pure heart"
I would like to recommend you all to read this book as well. Surely it will be a book worth reading. There are some scientifc fact mentioned about the human heart in the book which sounds completely like metaphysics and very fascinating. I will post about it in the next post.